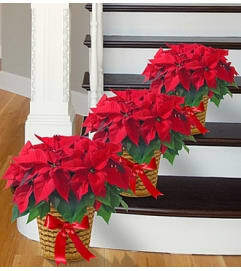 It’s the truly original gift they’ve been hoping for all year! 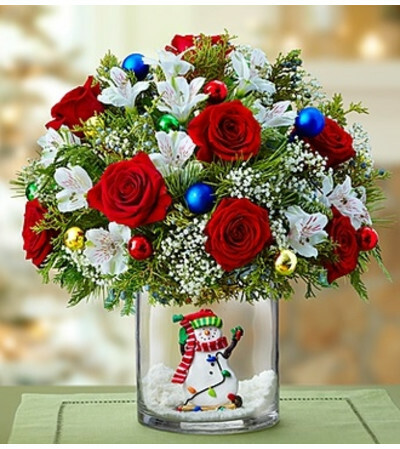 Our gathering of red roses, white alstroemeria, baby’s breath and assorted Christmas greens is accented with colorful balls and set on top of a clear cylinder vase filled with "snow". But the biggest surprise of all is our exclusive snowman keepsake ornament placed inside. 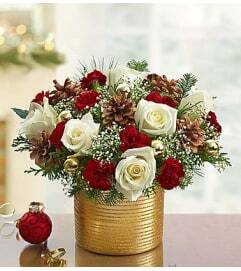 Fresh and festive arrangement of red roses, white alstroemeria, baby’s breath noble fir, white pine, cedar and holly. 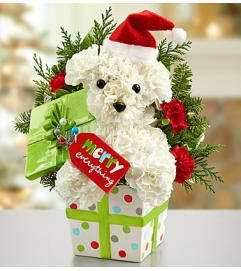 Features our snowman ornament with hat, scarf and Christmas lights on a bed of faux snow.